The geothermal energy systems are heating up in the Netherlands. In short, aquifer thermal energy storage systems (ATES) systems work by using two separate wells, a cold well and a warm well. In the summer, cool groundwater from the cold well is pumped out and used to cool the building, using a heat exchanger. The heat extracted from the building is injected into the warm well and stored until winter. In the winter, the process is reversed. Water from the warm well is used to heat the building, and the cool air extracted from the system is then stored in the cold well. While it’s common in Europe, mostly in the Netherlands and Scandinavia, it’s rarely used in the United States because our aquifers are less suitable for the technology. The sand aquifers in the Netherlands are better for ATES and each well can typically produce up to 250 cubic meters per hour (m3/h) or 1100 gallons per minute (gpm), says Ronald Folders, director for Grondboorbedrijf Haitjema B.V. in Dedemsvaart, Netherlands. The Korbeti kebele is one of the areas that Ethiopia is working on by putting out a long term plan to utilize its geothermal potential. The Korbeti and Tulu Moye geothermal project works that have been made official three years ago are part of the second Growth and transformation plan. By budgeting 2 billion and 4 billion to Korbeti (which will generate 500 MW) and Tule Moye (which will also generate 500 MW) respectively, an Icelandic company by the name of Reykjavik Geothermal (more information) has started the work. Recent information from Ethiopia Geological Survey show that two companies by the name of Berkeley Energy and Iceland Drilling are currently constructing road, water and other infrastructures in Korbeti kebele in order to start the work to generate 500 MW of geothermal power. Philippines company Aboitiz Power Corp. said Tuesday it withdrew from the greenfield geothermal exploration and development project of wholly-owned Singapore-based subsidiary Aboitiz Power International Pte. Ltd. in Ijen, East Java, Indonesia. “Aboitiz Power has decided that it will focus and allocate its resources for other ongoing and pipeline projects and has agreed to step aside to allow its partner to proceed with the project,” Aboitiz Power said in a disclosure to the stock exchange. Aboitiz Power International earlier signed an agreement with PT Medco Power Indonesia to participate in the exploration and development of a potential 110 MW geothermal power plant in September 2015, which would have been the company’s first international venture. U.S. Geothermal Inc. today announced that its Board of Directors has increased the size of the Board from seven to eight Members. Additionally, the Board has appointed Ali G. Hedayat as an Independent Director to its Board of Directors, effective February 1, 2017. With over 20 years of investment banking experience, Mr. Hedayat brings extensive experience and broad knowledge in the areas of finance, M&A and corporate governance. His qualifications to serve as a Director of the Company include over 20 years of investment banking experience with an emphasis in power, utilities, and distressed debt and equity in European, North American and Latin American markets. German company Bitzer, the world’s largest independent manufacturer of refrigeration compressors, has announced the acquisition of ElectraTherm of Reno, Nevada, USA, a leader in distributed, waste heat to power generation. ElectraTherm’s Power+ Generator™ utilizes waste heat on applications such as internal combustion engines, biomass boilers, flare gas (at oil and gas wells, wastewater treatment plants and landfills), geothermal/co-produced fluids, and more. ElectraTherm’s Power+ fleet exceeds 50 machines in operation in 12 countries and has surpassed 75 years of runtime. ElectraTherm’s Power+ Generator uses Organic Rankine Cycle (ORC) technology to capture waste heat and convert it to clean electricity. Hot water is the only fuel consumed by the Power+. The waste heat is used to produce a high pressure vapor that expands through ElectraTherm’s twin screw power block, spinning an electric generator to produce fuel-free, emission-free power to be consumed on site or exported to the grid. After turning the expander, the vapor is condensed back into liquid through a liquid loop radiator. The Power+ produces power from an unutilized resource, increases site efficiency and can also reduce site cooling loads. The project uses commercially available technologies for the mineral or product recovery processes. 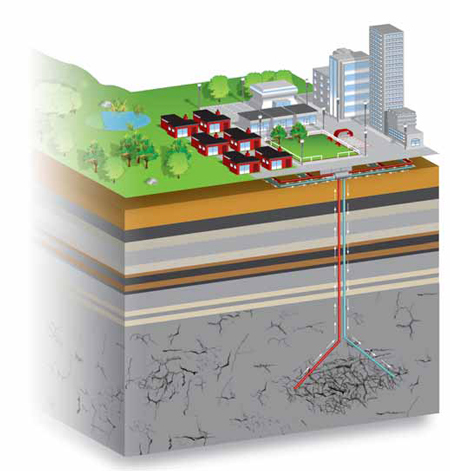 The Flemish institute for technological research (Vito) has completed the first two phases of a local project aimed at extracting geothermal heat from the earth. The third phase consists of installing a power station at the Balmatt site. 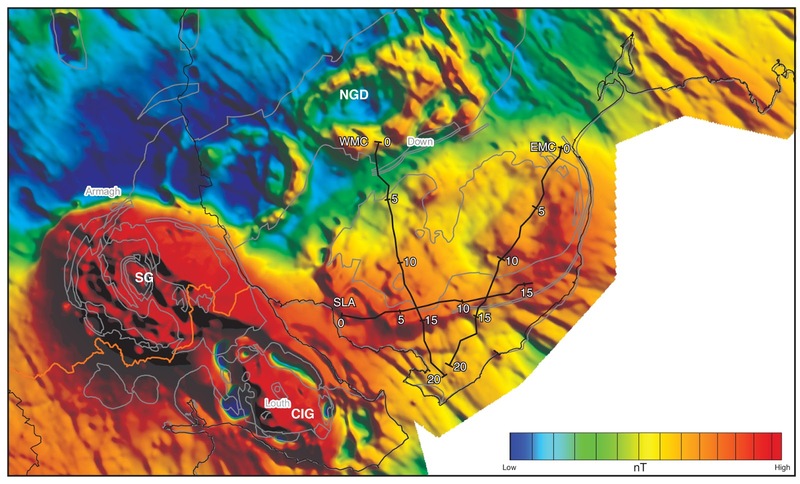 At the Vito site in Mol, Antwerp province, drilling went down to 3,610 metres, to the 350-million-year-old limestone layer under the ground, where the temperature reaches 138 degrees Celsius. When pumped to the surface, the water from that layer retains a temperature of 126-128 degrees, which allows it to be used for heating. In the second phase of testing, it was found that water could also be returned to the limestone layer, in order to be reheated and pumped back out, creating a closed water loop. A second drilling to re-introduce cold water reached a depth of 3,830m, with the tests on the reintroduced water being completed in September last year. The site is now ready to install a power station on the surface where water will be pumped up from the depths, used as a source of energy and then re-injected into the limestone layer to be reheated naturally, for the cycle to be repeated. Works on the third phase are expected to be completed by the end of the year. Géothermie : un trésor sous la terre de la Limagne (Puy-de-Dôme)? À partir de la mi-février, les habitants du secteur de Riom (Puy-de-Dôme) vont voir passer sur leurs routes un bien étrange convoi. Trois ou quatre camions, en file indienne, vont sonder le sous-sol pour en tirer une cartographie. Le but : savoir si la plaine de la Limagne pourrait accueillir, à terme, une centrale électrique géothermique. From mid-February, residents of the Riom area (Puy-de-Dôme) will see a very strange convoy pass by on their roads. Three or four trucks, in single file, will survey the underground. The goal: to know if the plain of Limagne could eventually accommodate a geothermal power station. The 5-day course is centered on lectures and exercises concerning Geothermal Reservoir Engineering and the latest developments. The curriculum progress through the syllabus in an effort to build students’ confidence in understanding of Geothermal reservoir engineering framework of geothermal reservoir assessment, development, and utilization. The exercises will provide basis for cementing the concepts and problem solving techniques introduced in the morning lectures. Science & Technology: Geothermal Energy Can Make You the Most Carbon Neutral Mastermind of All Time. From Darth Vader to Blofeld, volcanoes are classic settings for supervillains’ lairs. There’s just something aesthetically perfect about evil individuals being surrounded by death-dealing, incandescent lava. 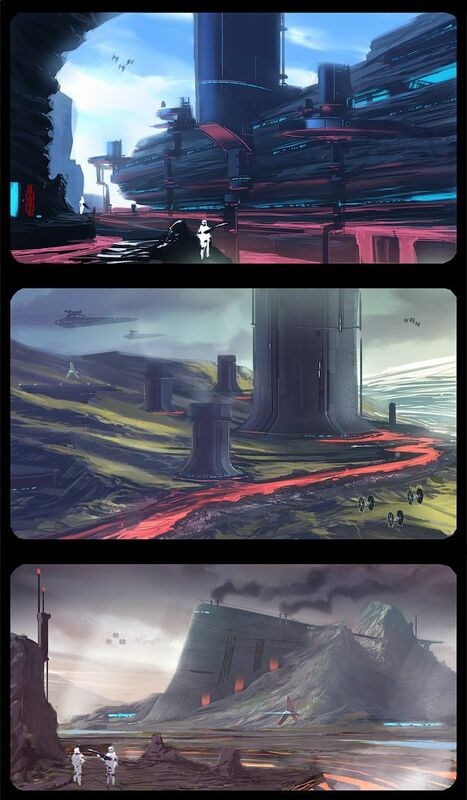 So would it be possible to build a secret base within a volcano in real life? Is it ever a good idea to plot nefariousness and laugh maniacally from within a volcano? Actually, yes, and by doing so, you may become the most carbon neutral mastermind of all time. After all, thanks to the molten magma body just beneath your feet, there’s plenty of geothermal heat to tap, which – with respect to a human lifetime – will never run out. It’s clean, renewable, and countries like Iceland and Indonesia already use it effectively. Iceland: Natives Know their Geothermal Energy! Geothermal power provides heat for 9 out of 10 houses in Iceland! State-owned CFE was the only company allowed to develop geothermal resources prior to Mexico’s broad energy reform, but the market is now open to private sector competition and new investments. The 2014 Geothermal Energy Law allows the government to award private companies three-year exploration permits and 30-year production concessions. Since July 2015, the Energy Ministry (SENER) has awarded 13 exploration permits and five concession contracts to CFE, covering areas with a combined generation potential of 448 MW. SENER also awarded eight exploration permits to private Mexican companies and the first concession for geothermal development to a private Mexican company, which plans to invest approximately $240 million in a geothermal power generation project in Nayarit. The U.S. Department of Energy (DOE) and the U.S. Foreign Commercial Service will host a bilateral U.S.-Mexico Geothermal Market Opportunities Workshop on April 4 to bring together public and private sector stakeholders from the United States and Mexico to discuss new opportunities for investment and potential collaboration in the development of Mexico’s geothermal energy resources. A prominent German academic who works in the US is now making the rounds in Germany with a proposal: stop talking about renewables and start talking about “clean energy.” Craig Morris explains why the idea is counterproductive. Elisabeth Wehling is a linguist working with George Lakoff at the University of California in Berkeley. Lakoff himself has been active in the political sphere since the early 90s at least. His main idea, which Wehling also presents to German audiences, is framing: how you contextualize something affects the debate. The title of Lakoff’s book Don’t think of an elephant itself shows how framing works: once you have said “elephant,” no one can’t think about it. The lesson is that myth-busting reinforces the basic idea claimed even though it is untrue. Wehling said the Germans should stop talking about “renewables” and start saying “clean energy.” The problem, as the skeptical German journalist points out, is that no one knows what “clean” means. 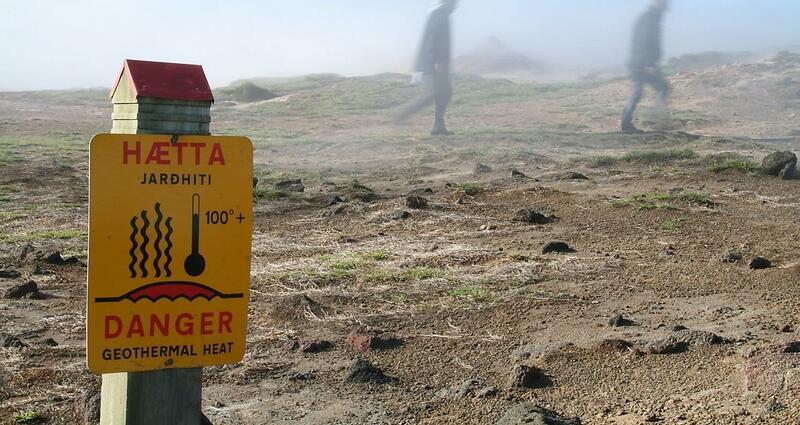 The International Geothermal Association says there is no standard international terminology in use today that would facilitate a common understanding of geothermal sources. Suffice to say that these sources are based on the enthalpy or temperature of the geothermal fluids that transport heat from the Earth's core to the surface. Filipino scientists have found a way to address the acidity of the Biliran geothermal power project in Leyte for its successful development. Biliran Geothermal Inc. disclosed in a statement over the weekend that a series of tests effectively treated the acidic nature of the fluids from the drilled wells, making the field fit for the generation of geothermal power. The company said initial developments in the Biliran site started in the 1980s but the 49 MW project was not completed due to acidity of the geothermal brine. 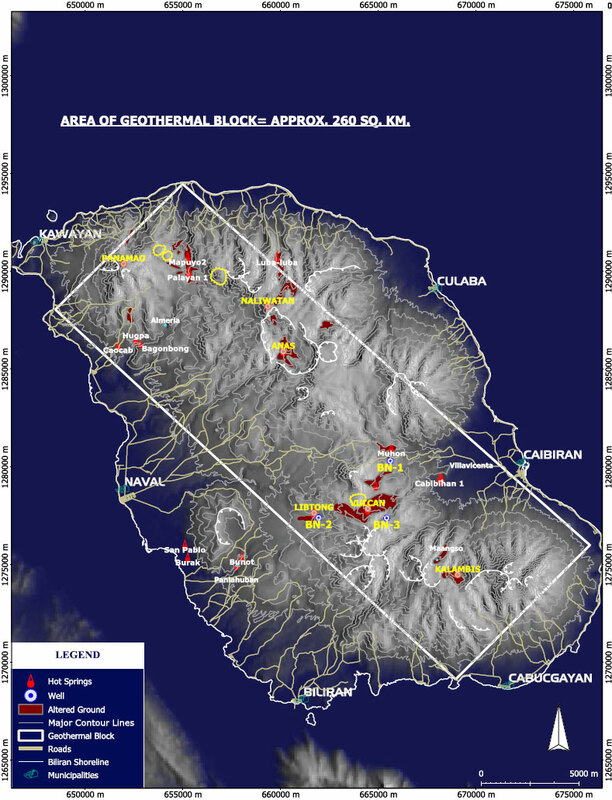 Biliran is considered one of the largest greenfield geothermal projects in the Philippines with a potential of 350 MW. The solution involves the injection of chemicals into the wells to treat the acidity, making the brine acceptable for use in the generation of geothermal power. It entails careful and rigid monitoring of the well geochemistry and correct dosage and application of chemicals. The chemical treatment had previously been used in the Miravelles geothermal field in Costa Rica, where the geothermal brine required treatment for acidity. The company said its board gave the go-signal to renew a P50-million clean loan line and P5-million bills purchase line with the bank. The bills purchase line is a standard practice in accounting finance that lets any entity receive funds before banks clear checks, Cuaycong said. The debt lines were originally going to expire in October this year, but the renewal means both debt funding will be available until October 2018. 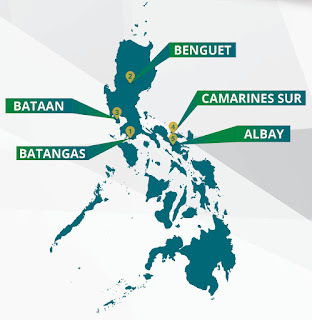 Basic Energy is working on geothermal and solar-powered projects, including the East Mankayan Geothermal Prospect in Ifugao, Mabini Geothermal Service Contract in Batangas, Mt. Iriga Geothermal Project in Albay, Mt. 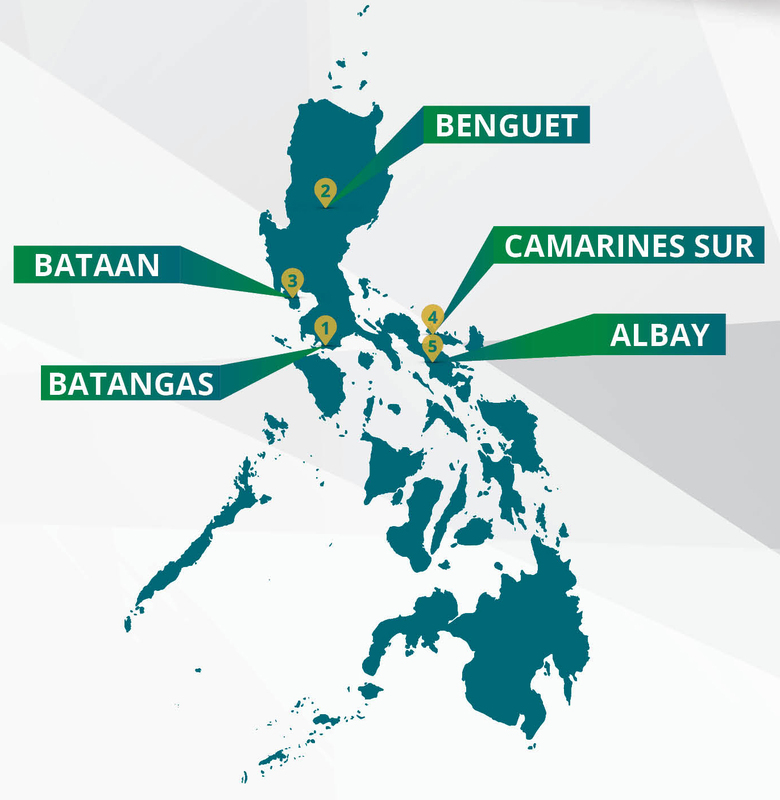 Mariveles Geothermal Project in Bataan, and West Bulusan Geothermal Prospect in Sorsogon. Krafla power station under the stars, Iceland by Bastien Poux. 恭喜发财 / 恭喜發財or in Cantonese: "Kunghei fatchoy". In this issue, there is a report on the 40th GRC Annual Meeting & GEA GeoExpo+, especially the GRC Awards. 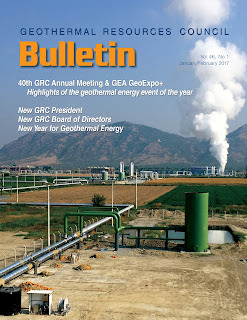 Also, there are 15 pages of geothermal news from around the world. In the Icelandic Southern Peninsula, HS Orka has developed a unique business idea: a Resource Park for a society without waste. Two geothermal plants produce electricity and hot water, and excess resource streams then go to a diverse network of companies. The range of businesses in the Resource Park is incredibly varied, including the Blue Lagoon spa, cosmetics manufacturers, biotechnology companies and aquaculture. More than 500 jobs can be directly attributed to HS Orka’s Resource Park, in addition to other derived jobs. The park operates under the motto “Society without waste,” meaning that all the resources must be used responsibly and to their fullest extent for the benefit of the community. Dr. Susan G. Hamm brings with her an impressive portfolio that includes operations, budget and management, and a background in the geological sciences. The new director of the Geothermal Technologies Office (GTO) sat down with me recently to discuss her new role as she leads efforts to improve performance, lower costs, and accelerate deployment of geothermal technologies. 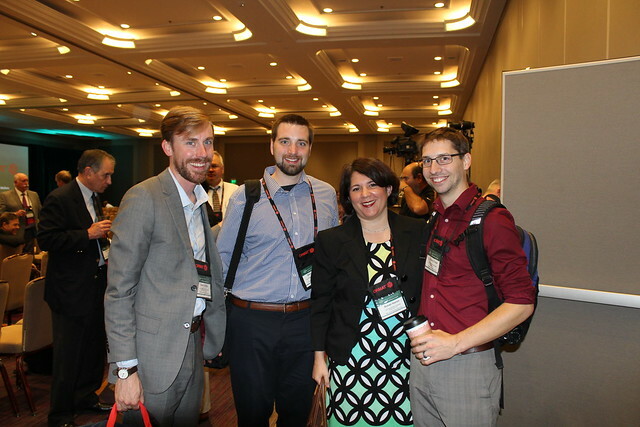 Dr. Susan Hamm (second from right) with Geothermal Technologies Office colleagues Sean Porse (far left) and Zach Frone (far right), and Stephen Henry, of the National Energy Technology Laboratory, at the Geothermal Resources Council in October. Where did you get your start in geological/geothermal technologies? I received an undergraduate degree in geology [from Amherst College]. There’s nothing like being out on rocks and being one with the Earth. And then I went and got a Master’s in geophysics and a Ph.D. in materials science at the University of Minnesota. I had never really anticipated that I would be a scientist growing up. I ended up in geology kind of as a fluke; I mistakenly turned to the page in the course catalog and said, “Oooh, Intro to Geology, doesn’t this sound interesting…?” And I loved it. As director, what do you see as your top priorities? My top priority is to keep the geothermal technology research and development going so that we can hit our goal of $0.06 per kilowatt hour, and we are going to be looking in the next year or so at what our GeoVision study says…where we can get the biggest bang for our buck in terms of geothermal technology research. All of the above, right? The biggest challenge is that putting geothermal on the grid is expensive at this point. It is not cost-competitive because drilling is so expensive and exploration is so risky. There are also policy and other types of barriers to getting geothermal energy on the grid. And so really attacking those effectively over the next several years is going to be a challenge. What are the most remarkable changes you’ve seen in geothermal technologies over the years? The most remarkable change is that geothermal has become more of a player when we’re talking about renewables. Especially with the states wanting to increase their renewable power, everyone is starting to look at geothermal as a possibility. What do you want people to know about you as director of this office? I am excited to be here. I’ve been in the federal government since 2003. I started at Department of Homeland Security and then I was at the National Science Foundation for nine years. I also served on Capitol Hill as a Legislative Fellow. I have this beautiful view of the Capitol out my window and looking at it, especially as the sun rises or sets, reminds me of why we’re here. We’re actually trying to make life better for every person in this country, and geothermal can really make a difference in handling part of the energy demand. French energy company ENGIE said it was making a debut in geothermal energy with a commitment to help build a power plant in Indonesia. The French company is part of a consortium tasked with building the Muara Laboh geothermal plant in Indonesia, a former member of the Organization of Petroleum Exporting Countries. The plant is backed by a $440 million finance agreement coordinated in part by the Asian Development Bank and other regional lenders. ENGIE said it has the drilling and other subterranean experience necessary to help build a facility that at 80 megawatts, will have the capacity to power 120,000 average homes. The company said construction will take about 30 months. The Japan Bank for International Cooperation (JBIC) and the country's three megabanks will provide financial support for an Indonesian geothermal power plant planned by Sumitomo Corp., as Japan pushes infrastructure exports as a key growth strategy. JBIC, together with Mizuho Bank, Bank of Tokyo-Mitsubishi UFJ and Sumitomo Mitsui Banking Corp., will offer a syndicated loan with the Asian Development Bank. The sum will total around $440 million, of which JBIC will cover roughly $200 million. Nippon Export and Investment Insurance will insure loans provided by the megabanks. Sumitomo will break ground on the 80 MW Muara Laboh geothermal power plant in South Solok in West Sumatra, in March, and plans to begin commercial operations in 2019. Fuji Electric will supply the plant's main parts such as steam turbines and power generators. 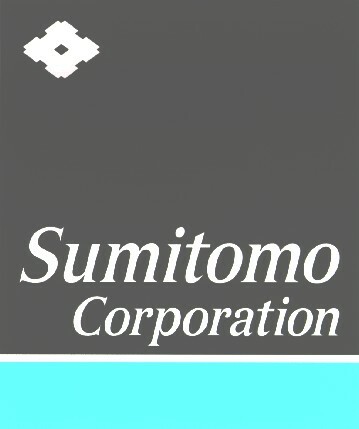 Sumitomo will handle surveying of the project area, as well as operations and maintenance after construction is completed. It is the first time that Sumitomo, a trading house, will run a geothermal power plant. Supreme Energy, Engie and Sumitomo Corporation are scheduled to sign today the financing documents for the 80 MW Muara Laboh geothermal power plant in South Solok in West Sumatra. PT Supreme Energy targets to start the construction of the 80 MW Muara Laboh geothermal power plant project this year now the financial closing is done to support the project. The person must have demonstrated experience in leading a team developing non-recourse project financed power projects. Among other qualities, the candidate should have experience in negotiating EPC contracts, managing the environmental permitting process obtaining regulatory approvals ,working with lenders ,doing financial modeling using excel, and directing consultant to undertake studies to support the development effort. Exposure to geothermal energy or drilling would be ideal. Communication skills and an engineering or advanced business degree is very important. The location of the job is in Addis Ababa. The person must have demonstrated experience in this capacity including the preparation of an ESIA under Equator Principals, EIB Standards or similarly rigorous international standard for a larger power or industrial project. Communication skills and college degree in relevant discipline is very important. The location of the job is in Addis Ababa. If you are interested, please send a brief description of your qualifications and your CV to info@corbettigeothermal.com. The description should be no longer than 2 paragraphs and include your contact details. If you are deemed to be qualified, we will contact you back and send you a complete job description. Gareth Farr of the British Geological Survey, Cardiff will be talking about harnessing low enthalpy heat from urban groundwater systems and abandoned mines in Wales. The talk will outline work in two contrasting hydrogeological environments namely the South Wales Coalfield (flooded underground mines) and the City of Cardiff (shallow gravel aquifer influenced by the subsurface urban heat island effect). In both areas trial systems have been constructed and now work is underway to upscale these into integrated heat networks. There are technical, regulatory and societal challenges that need to be overcome to ensure ground source heating can become more of a mainstream way to generate heat, increase energy security and decrease fuel poverty. 6th Wave Innovations Corp. of Salt Lake City, Utah, a nanotechnology company that develops proprietary molecularly imprinted polymers for minerals extraction in mining applications) has teamed up with TriLateral Energy, LLC of Jackson, Wyoming, (an independent energy developer with extensive geothermal operations and construction experience) to form Geolithic Corp., a joint venture for the extraction of lithium and other minerals from geothermal brine. 6th Wave has already commenced laboratory testing of the proprietary lithium extraction technology, which could significantly reduce the cost of producing lithium and other minerals compared to traditional mining and other mineral extraction techniques. Such minerals are naturally present in the brine utilized by many existing geothermal power plants in the U.S. and worldwide. 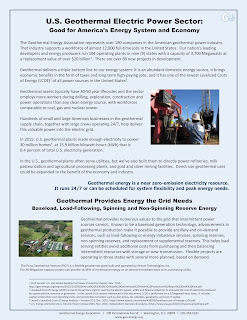 Geolithic Corp. plans to construct a pilot project extraction plant at one or more U.S. geothermal energy facilities, with a design that will seamlessly integrate with the facility's existing brine handling facilities to extract the lithium and other minerals prior to reinjection of the brine into the geothermal reservoir. Controlled Thermal Resources US Inc. is developing the Hell’s Kitchen Geothermal project on the southeast shore of the Salton Sea, drawing on “a very robust resource,” says Jim Turner, business development manager. Being developed now for an estimated cost of more than $500 million, the first phase will consist of a pair of three-inlet, 140-MW (gross) turbines. Following completion and commissioning of phase one, a twin plant will be built adjacent, with a planned third on the 1,880-acre leasehold. The total cost of the 750-MW (net) development will be less than $1 billion, Turner says. Alger Alternative Energy LLC will construct the companion plant in an integrated plan with the geothermal project, says Tracy Sizemore, CEO. It will produce 60,000 tonnes a year of lithium carbonate and lithium hydroxide. Total estimated cost for this plant is $1 billion. Geothermal energy has grown on C-FER’s radar in recent months, but not in the way that some Alberta oil well owners are becoming accustomed to hearing about it. Many abandoned Alberta oil wells can deliver enough geothermal heat to the surface to, say, warm a greenhouse or garage. But in places like Australia, South Korea and France, geothermal electricity pilot projects are being built on a much more powerful scale. With no greenhouse gas emissions and a very small physical footprint, geothermal energy can provide a reliable baseload electricity capacity, meaning it doesn’t depend on the sun shining or the wind blowing. As the retreat wound up, I still had several unanswered questions about how renewables actually would keep the lights on 24/7. How can a green portfolio actually provide both the lion’s share of energy as well as the so-called reliability services that are essential to keep the grid up and running? There seemed to be a lot hanging on the wonky details flagged by CEERT. Ormat’s CEO Isaac Angel is quick to acknowledge that the deal might surprise the casual observer, both in terms of the sector and the specific company. Angel indicates that Ormat is continuously looking into other growth areas and its evolving strategy calls for strengthening the company beyond the realm of geothermal energy. This strategy envisions expansion into other geographies as well as the acquisition of companies that can add to Ormat’s technology and leverage its existing assets. The power and the light no. 1, by Christopher Mathews. 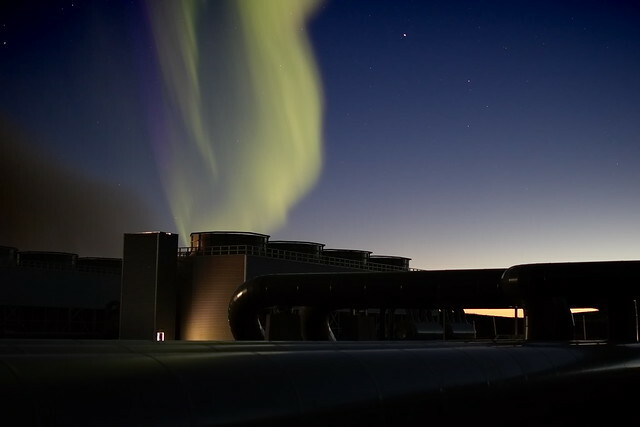 Aurora borealis and cooling towers at Hellisheiði Power Station, Iceland. August 31, 2016. 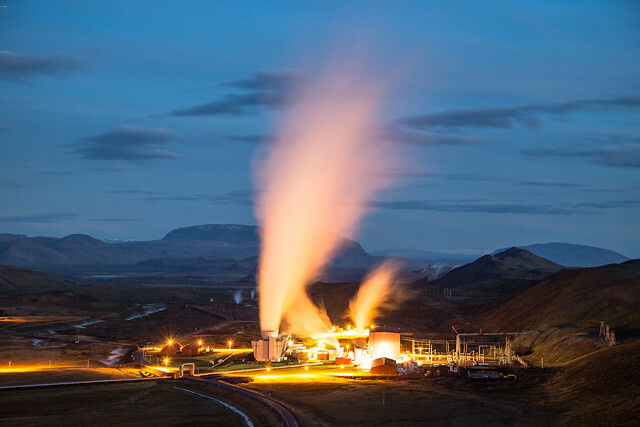 A firm called MJDB has made offer to buy the Hellisheiði geothermal plant in SW-Iceland. According to Icelandic media, MJDB is mostly owned by Magnús B. Jóhannesson, who is director of a firm with the name of America Renewables, in Rolling Hills in California. No public information is available about the offering price for the geothermal plant. The Hellisheiði plant is the largest and most recent geothermal plant in Iceland, starting operation in 2003. It has a generation capacity of 303 MW and 130 MW in thermal energy. It is owned and operated by the energy firm Orka náttúrunnar (ON), which is a subsidiary of Orkuveita Reykjavíkur (OR); sometimes referred to as Reykjavík Energy. OR / Reykjavík Energy is owned by the city of Reykjavík and couple of other municipalities in SW-Iceland. March 1-4, 2017, Marriott University Park Hotel, Salt Lake City, Utah. Join us for a workshop fostering the basic science and engineering of geothermal energy in high-temperature sedimentary basins. Please provide the poster title, authors, affiliations, less than 500-word abstract, and a key figure. South-east County Down and north County Louth: total magnetic intensity anomaly. The Palaeogene Mourne Mountains Complex in County Down is a potential geothermal energy resource due to the high levels of radioactivity in its granitic rocks. The regional Tellus geochemical and geophysical surveys mapped the radioelement distribution of the rocks at surface. Follow-up investigations confirmed the heat potential of these, some of the most radioactive rocks in the island of Ireland, and investigated their depth extent by electromagnetic (magnetotelluric, MT) depth sounding. Ture, Mohammednur; Reay, Derek; Muller, Mark; Yeomans, Chris; Ayres, Laura. 2016 Geothermal potential of granitic rocks of the Mourne Mountains. In: Young, M.E., (ed.) Unearthed: impacts of the Tellus surveys of the north of Ireland. Dublin, Ireland, Royal Irish Academy, 129-144, 16pp. For the Secretariat of the International Geothermal Association (IGA) the Bochum University of Applied Sciences has a vacancy starting 1 March 2017. The International Geothermal Association (IGA) operates its secretariat in Bochum, Germany. The IGA-secretariat is part of the International Knowledge- and Technology Platform Geothermal Energy that is hosted by the International Geothermal Centre (GZB) and is administrated by the Bochum University of Applied Sciences. The Executive Director is responsible for the operation for the IGA secretariat and of the International Knowledge- and Technology Platform Geothermal Energy. The project is funded by the State of North Rhine-Westphalia (NRW) via EFRE (European Fund for Regional Development). The International Geothermal Association (IGA), founded in 1988, is a scientific, educational and cultural organization, established to operate worldwide. It has more than 5,000 members in 65 countries. The IGA is a non-political, non-profit, non-governmental organization in special consultative status with the Economic and Social Council of the United Nations, and Partner of the European Union for the Campaign for Take Off (CTO) of Renewable Energies. IGA is affiliated to the International Renewable Energy Alliance (REN Alliance). Technical innovations can only be successful if they are supported by the general public. Early, comprehensive and transparent communication with the public is also indispensable for planning, constructing and operating plants for utilising renewable energies. 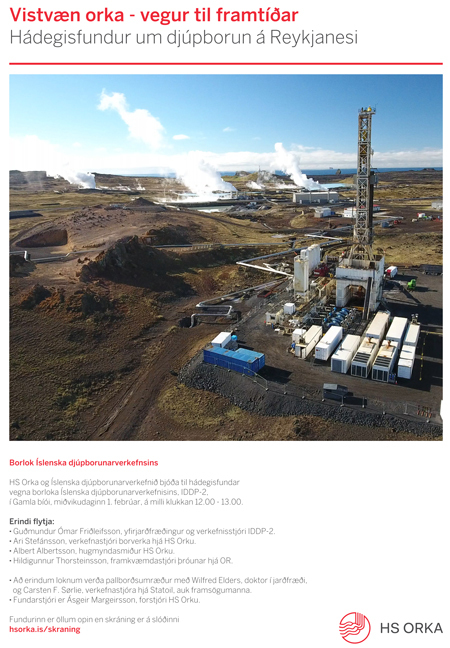 The new BINE Projektinfo brochure entitled "Communication concept for deep geothermal energy" (17/2016) presents successful public relations theory and practice for geothermal energy plants. It provides operators and participating companies with numerous practical ideas and suggestions. KS Orka Renewables reports that the first two turbine units for Hungary are ready for shipment to Venice, Italy where they will taken in six trailer loads to Budapest, Hungary. On the site preparation works are progressing well. Begin of commissioning planned early May. The power plant is a combined heat and power plant, i.e. 3 MW electrical power and 7 MW thermal heating capacity. Description: Exploration, development and support of geothermal energy is entering a period of resurgence in the western U.S. and around the world. 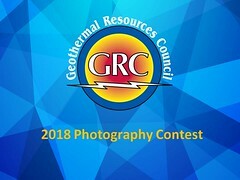 We welcome contributions pertaining to any geothermal and hydrothermal location or topic, including exploration updates, technological breakthroughs, modeling results and more. You may submit as many abstracts as you like by the deadline of 14 February 2017. Submit abstracts online. 5. Structural Geology and Geothermal Energy of Kīlauea Volcano, Island of Hawai‘i. Cost: US$242. Min 11, max 18. 8 a.m. Sat., 20 May to 4:30 p.m. Sun. 21 May. Description: This trip will provide an overview of Kīlauea’s structure and activity, particularly how they relate to geothermal energy. We will visit a geothermal power plant as well as rift zone faults and pit craters. This 2-day trip will depart from the Hilo Hawaiian Hotel (island of Hawai‘i) at 7:45 am on Saturday May 20, and return to the hotel by 4:30 pm on Sunday May 21. Participants will be responsible for their own airfare and reservations to and from Hilo, lodging in Hilo, breakfasts, and dinners. Lunches will be provided. 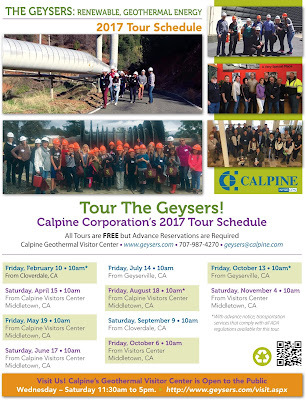 USA, California: Visit the Biggest Geothermal Field in the World! President Donald Trump is promising major changes on climate and energy policy, including efforts to increase production from fossil fuel energy sources such as coal. 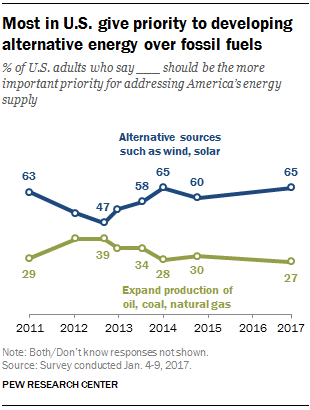 But a new Pew Research Center survey finds that 65% of Americans give priority to developing alternative energy sources, compared with 27% who would emphasize expanded production of fossil fuel sources. Big Issue: Could North Staffordshire help launch a green industrial revolution? Councillor Terry Follows, cabinet member for greener city, development and leisure, believes Stoke-on-Trent is at the forefront of a 'new energy revolution'. He said: "With £20m of financial backing from the Government, the city has been recognised as the official UK hotspot for district heating by Nordic Heat, an international sustainable heat initiative supported by the Swedish Energy Agency. "The city council is developing a wider energy strategy that taps into a range of new technologies to generating clean and reliable energy locally to support local industry and communities. While heating systems like this are quite common across Europe, the technology has yet to take off in the UK, which could mean Stoke-on-Trent becomes a national centre for geothermal district heating once its scheme is up and running. U.S. Geothermal Inc. has confirmed its previous guidance for 2016 and provide guidance for the full year 2017. Achieved annual average availabilities for the twelve months for each plant (excluding planned maintenance hours) as follows: Neal Hot Springs – 98.3%, San Emidio – 95.6%, Raft River – 99.4%. Neal Hot Springs, Oregon – Completed the drilling of a second water supply well. It can be difficult to remember that the 89,000-acre Valles Caldera National Preserve actually encompasses a 1.25 million year-old dormant volcanic caldera. The keyword is dormant – not extinct. The magma chamber beneath the surface produces a number of geothermal features both within and outside the preserve’s boundaries, including hot springs, warm springs, acid pools and fumaroles. Because of the wealth of geothermal resources, the National Park Service has nominated the preserve to the Geothermal Steam Act list of “significant thermal features” within the national park system. If the Department of the Interior approves the nomination, Valles Caldera would be one of only 18 parks units within the 400-plus national park system with that designation. According to Bob Parmenter, the preserve’s division chief for science and resource stewardship, the designation would serve two purposes: protection and an added level of distinction for the park. The geothermal resources within the preserves boundaries have been protected from development since the early 2000s. This designation would add protection from negative influences outside the park’s boundaries. In our search for clean, cost-effective sources of renewable energy to mitigate the effects of climate change, one source of that energy has been right under our feet all along — Geothermal energy is not only clean and sustainable, but it is eco-friendly. It is an abundant domestic energy source, it brings economic benefits in the form of taxes and long term high-paying jobs, and it has one of the lowest Levelized Costs of Energy (LCOE) of all power sources in the United States." Geothermal Humor to Cheer Us Up! An expert claimed on Wednesday that Bangladesh can generate thousands of megawatts of electricity using geothermal technology without burning conventional energy in power plants, reports BSS. 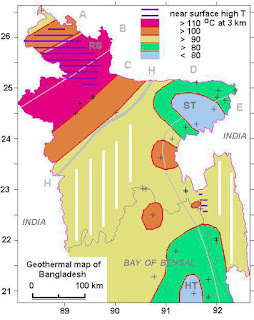 Addressing a press conference at National Press Club in the city, Member of International Geothermal Association (IGA), Mosarof Hossain Montu made this claim and demanded investing climate change funds of the United Nations in generation of power through geothermal technology in the country. Reservoir Engineering: injection, numerical simulation, empirical methods, tracers, etc. Papers accepted for presentation and/or publication are produced on a standard template that we supply. The papers will be available as a Proceedings CD. We removed the process of submitting abstracts for simplicity. Instead, papers can be submitted directly to geopowerchina@163.com for consideration.